This weekend it was the 150 year celebration of the opening of the railway at Otley in West Yorkshire. Unfortunately it was also exactly 50 years since Dr Beeching took an axe to the line. Still York retains its facilities and is the focus of our national pride in our predominantly Victorian railways. History, York and Railways go together almost like fish, chips and mushy peas. Well the Railway station designed by Thomas Prosser and William Peachey in yellow stock brick with tone dressings, in a classical Italianate style must have been food for thought when it was opened in 1877. At that time it was the Largest Railway Station in the World with 13 platforms and the marvelous glazed arching roof. 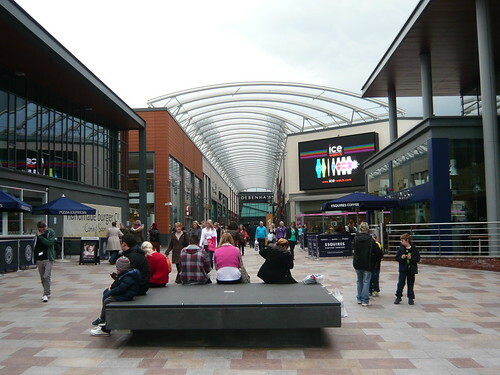 All the platforms except 9/10/11 are under the large, curved, glass and iron roof. This North Eastern Railway building was the third station to be built in York as the first was opened in 1839 by the York and North Midland Railway on land previously occupied by a Hospital for Poor Women. Then it was developed by a second station built within the shell of the first by George Townsend Andrews in 1840 almost in time to coincide with the new postage stamp. Another world first for York Railway station was the incorporation of a hotel within the buildings. Royal Station Hotel was named after Queen Victoria who reputedly had lunched there on her way by train to her Scottish estate at Balmoral Castle. 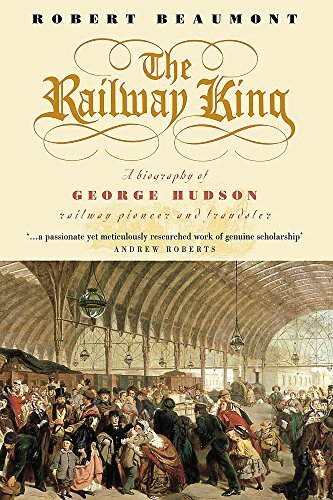 The arrivals platform had a refreshment stand and there was an office for George Hudson. With Museums galore, a Norman Castle, Georgian streets and a route on the Coast to Coast walk there is a lot of exploring to do in and around Richmond. If you arrive by car beware that parking is controlled by disc and the signs are small and distant! Yep I got a ticket. I parked on the square near the obelisk. The town pub trail will get you into more hostelries than I could cope with and there is now a brewery on the banks of the Swale in the former Station where you can watch artisan brewing in progress with a tour of the brewery. The Friary tower doesn’t lean I must have taken the picture after I walked up from the brewery. Friar’s Wynd takes you through one of the two remaining medieval gateways, past the Georgian Theater to the Friary Gardens where the fine Franciscan Friary bell tower, built by the Greyfriars of Richmond, still stands. 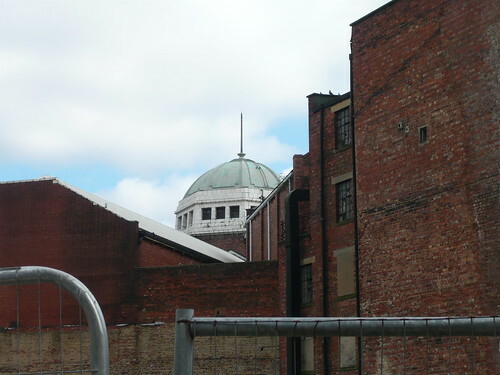 How many good buildings has Bradford got that it can allow this great 1930’s edifice to fall down around the politicians ears? Well there was Swan Arcade, Busbys, two Victorian Railway Stations, Kirkgate and Rawson Markets but emphasis is on the ‘was’. I guess the ‘Penny Bank’ at North Parade / Manor Row is threatened and even the modern Yorkshire Building Society premises up Westgate and the City Centre police station are desolate. Mills are virtually wiped out with an occasional white elephant housing conversion scheme or arsonists testing ground. Meanwhile the great vision from out political elite is a moat around City Hall (sorry I mean a Park with a Mirror Pool). Not to mention the hole in the City Centre designed as Forster House by John Paulson. Come back Paulson even you can’t do as badly! 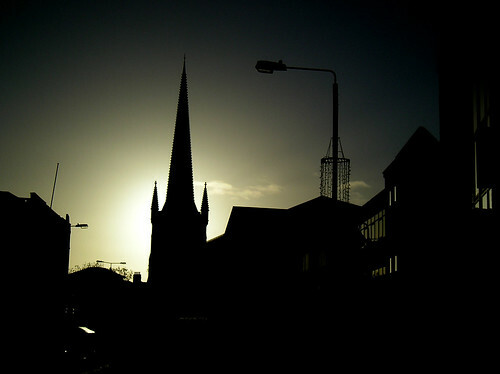 It is not too late ‘Save our Heritage Buildings’. From Dobrudden farm and the surrounding area you will see many model planes and enthusiasts. If there nwas a pilot in the balsa wood plane they would get a rapidly changing picture of path ways, slopes, bracken and clouds. Trench Meadows near Shipley Glen is a Site of Special Scientific Interest (SSSI) and Denso Marston Nature reserve is near Baildon bottom Charlestown. Bracken Hall countryside centre is worth a visit with the kids. 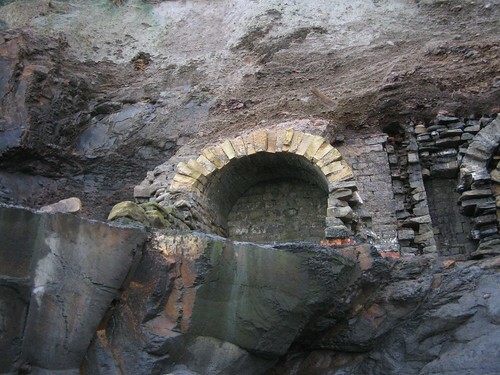 It is on Shipley Glen and can be reached via the glen tramway. 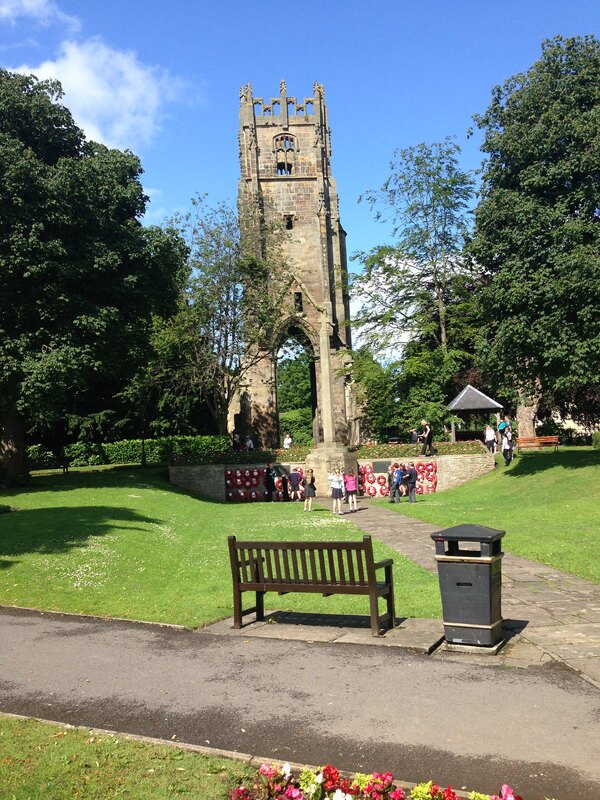 Baildon has been inhabited for eons as the cup and ring stones on the moor testify but was first recorded in AD 835 in a letter from the King to the Archbishop of York. 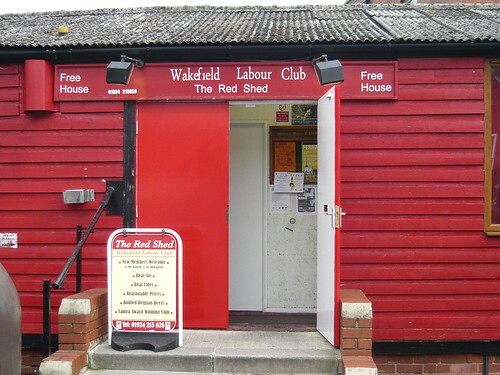 Hall Cliffe Community Garden is near the Ian Clough Hall. Baildon railway station has only one platform and a single track on the section from Shipley to Ilkley. A commuter zone for Leeds and Bradford of which it is part. Yorkshire You are Welcome to It! 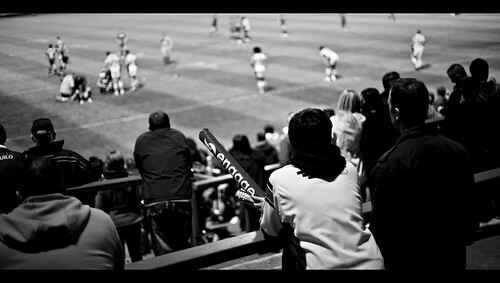 Taciturn, dour, gruff even but Yorkshire folk have infinite pride in their county. For that reason you are welcome to visit or live in the area but do not expect full acceptance to take less than a generation or three. North, East or West there is a Riding for you – obviously we don’t take as quickly to southerners, so we have no South Riding. 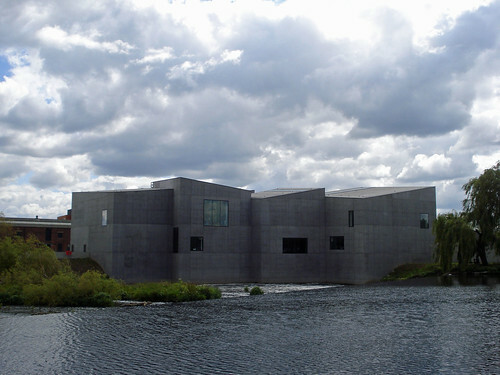 To show just how welcoming you may find Yorkshire there is a section on this website that visitors could find useful. It lists things to do and see in various towns, cities and villages. 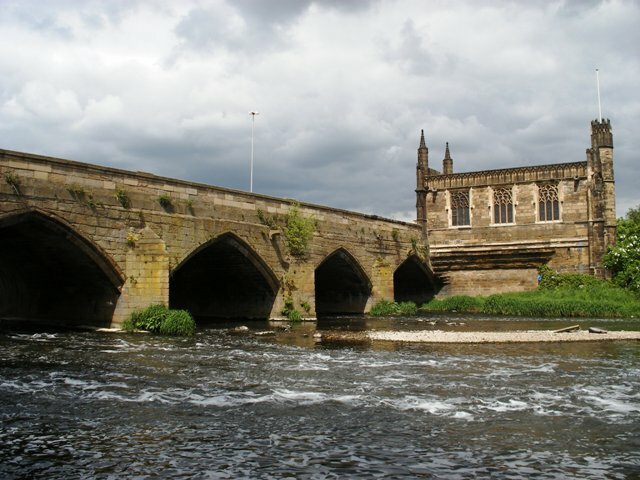 The lists are often curtailed, limited or restricted (with Yorkshire modesty) to a top ten when there are lots more attractions to these Yorkshire Places. 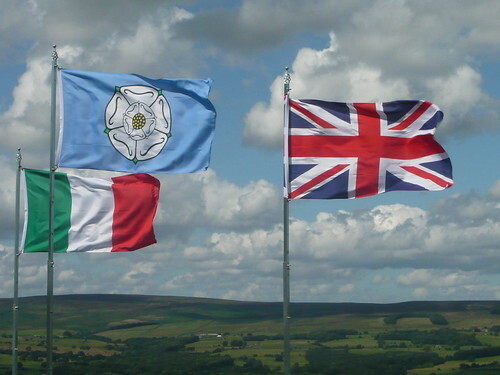 As the flags on this photograph reveal we also welcome European and International visitors of all nationalities even from the rest of Great Britain. 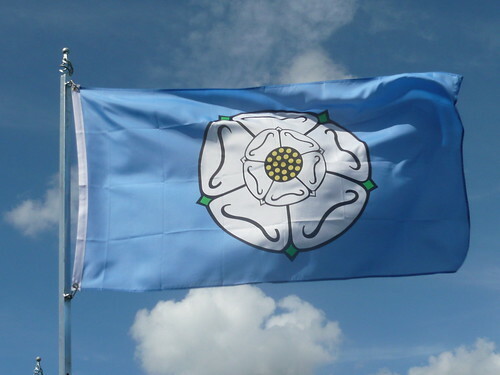 Author HortorisPosted on June 27, 2014 July 16, 2015 Categories Our Yorkshire, Villages, Towns and Cities, Wit and Humour, Yorkshire Facts - Interesting and UnusualLeave a comment on Yorkshire You are Welcome to It! Boulby is a working potash and rock-salt mine with hundreds of miles of underground roads, tunnels and caverns. Alum was also mined near by to supply the die industry but potash and rock salt are now the main products taken from this deep mine facility. Polyhalite is another mineral they produce that consists of calcium, magnesium and potassium sulphates that can be crushed to produce a bulk fertiliser rich in sulphur. You can see Boulby if you walk along the Cleveland Way between Runswick Bay and Staithes but the mine is quite discreet with only a chimney visible. Boulby Underground Laboratory is 3,500 feet below ground in Boulby Mine on the North East coast of Yorkshire. It is the UK’s deepest underground science facility. Boulby is the home to the ZEPLIN-III and DRIFT-II Dark Matter search projects. Boulby has got one of Yorkshire’s remaining Sound Mirrors used to detect Zepplins during the war. Just north of the village 1 mile from Staithes are the highest cliffs in England, at 203 meters (666 ft) above sea level. York is a UK cycling city with one of the highest levels of cycling in the county. A recent cycle festival at Rowntree Park, York attracted many people to enjoy the pleasures and fun of cycling. 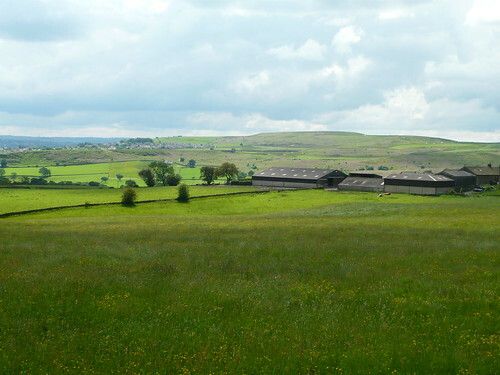 Upper Teesdale lies in four counties Cumberland, Westmorland, Durham and the North Riding of Yorkshire. On Widdybank Fell there are two plants not found anywhere else in Britain. 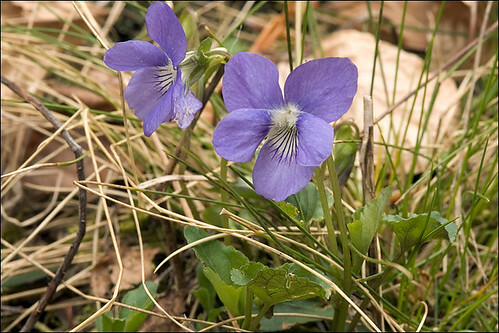 The rock violet or Teesdale violet, Viola rupestris and Sandwort or Minuartia stricta. On the Yorkshire side of the divide we have many rare plants and flowers. 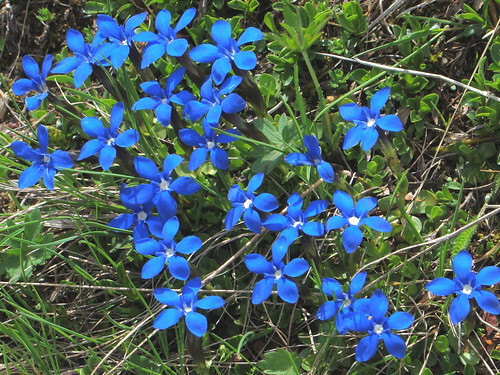 Mickle Fell contains examples of my Alpine favourites the Gentian verna although this photo is from Europe look out for the blue flowers. On nearby Cronkley Fell is home to mountain forget-me-nots another blue mountain flower – it must be in the Yorkshire water. Perhaps it is more to do with the underlying limestone rock outcrops where Drays octopetala and rock roses Helianthemum canum thrive. A UK exclusive is Yorkshire Milkwort that is a plant only found on the fell and in Wharfedale. High Force has a thicket of Juniper and many rare Hawkweeds and botanically interesting Ladies’ Mantles. Treasures of the dale are to be found in the meadows of North Yorkshire. 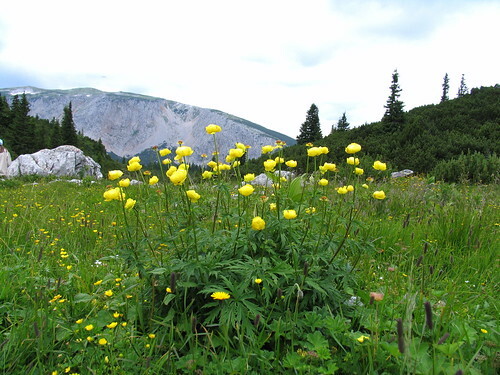 Look out for the Globe flower Trollius europaeus with its bold yellow flowers. Dark purple marsh orchids, shrubby Potentillas and mountain Pansies would not look out of place in most gardens. I will leave the Parsley fern and horse-tails out of my garden but in the wild dale they hold botanic interest. 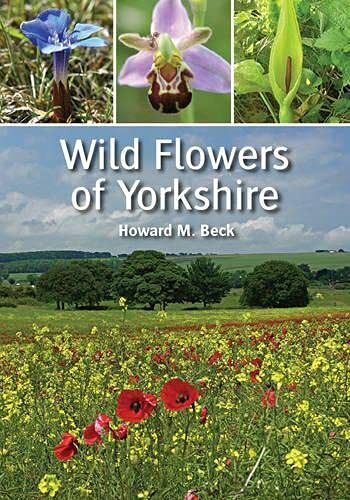 “Wild Flowers of Yorkshire” by Howard Beck is a guide to the wild flowers most likely to be found in our county together with more details on some of the rarer species.